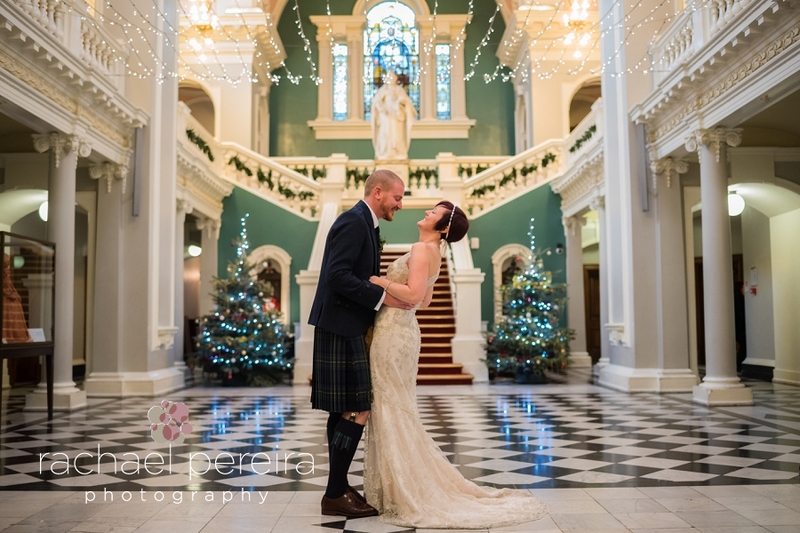 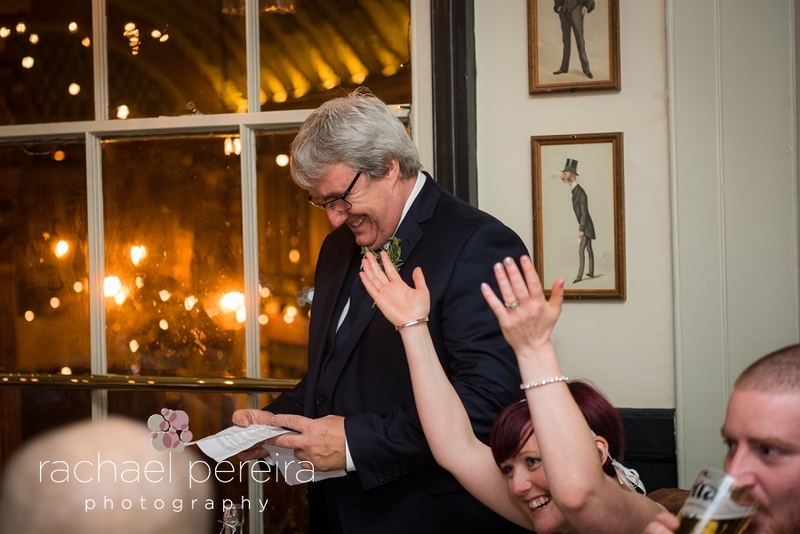 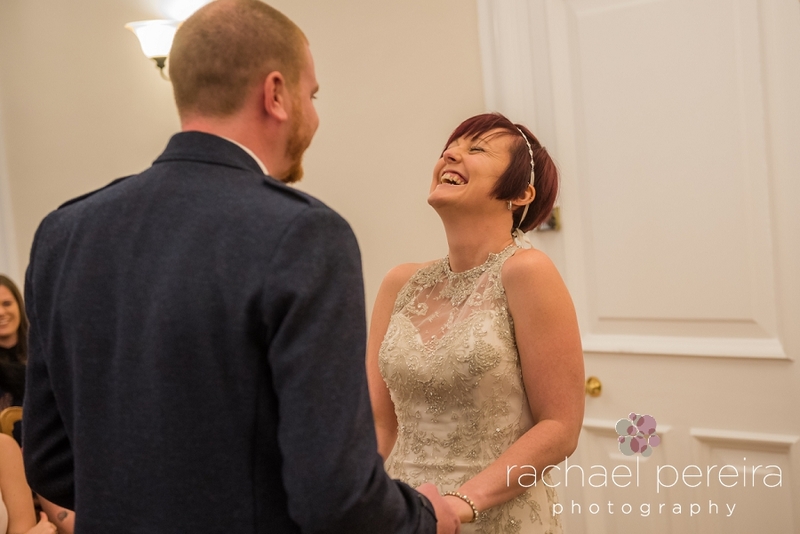 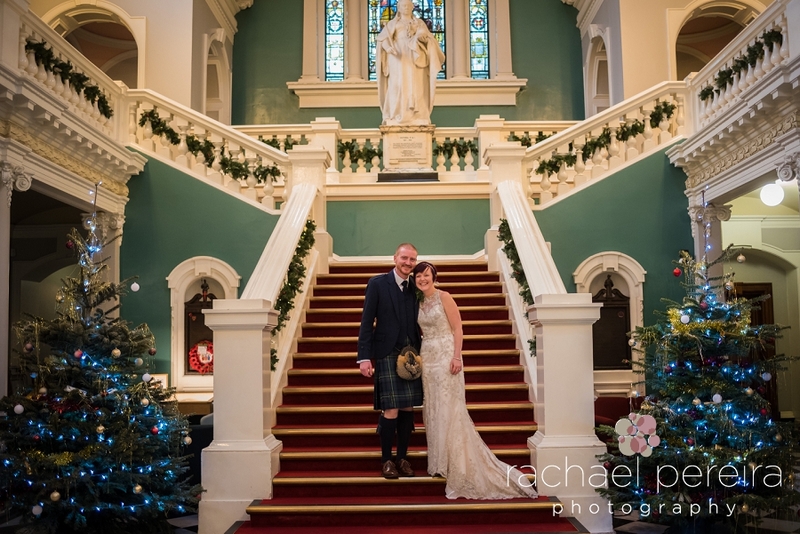 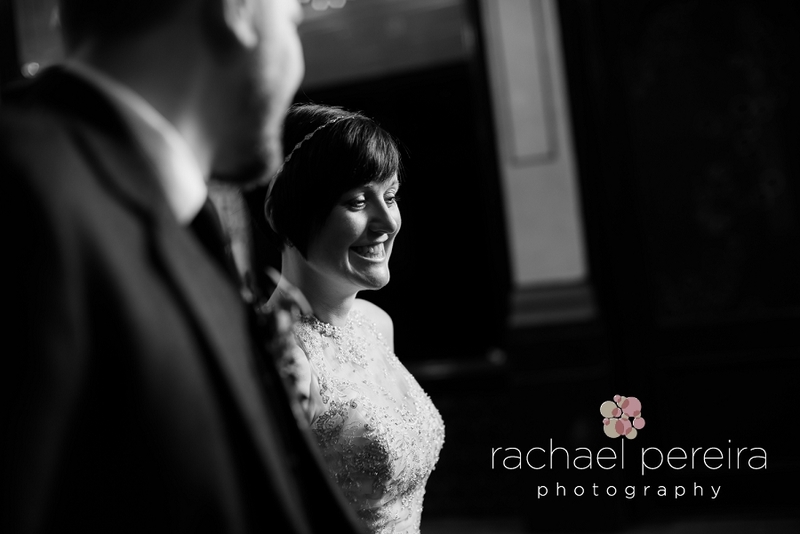 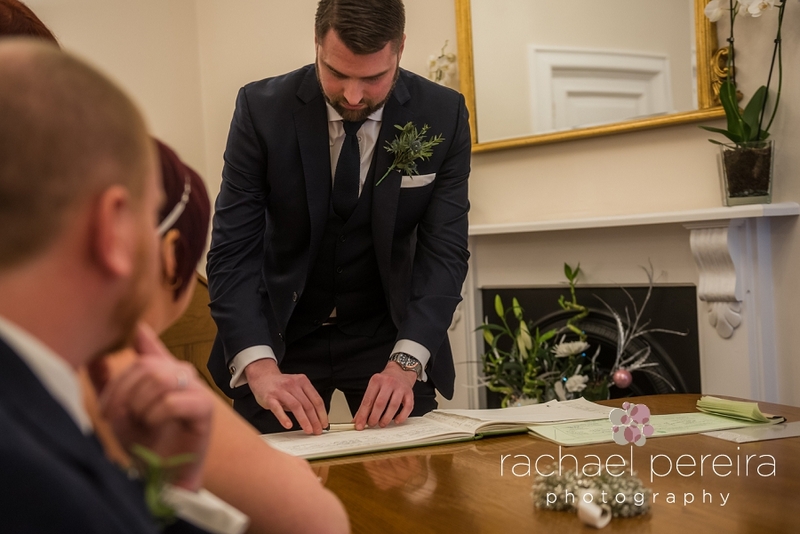 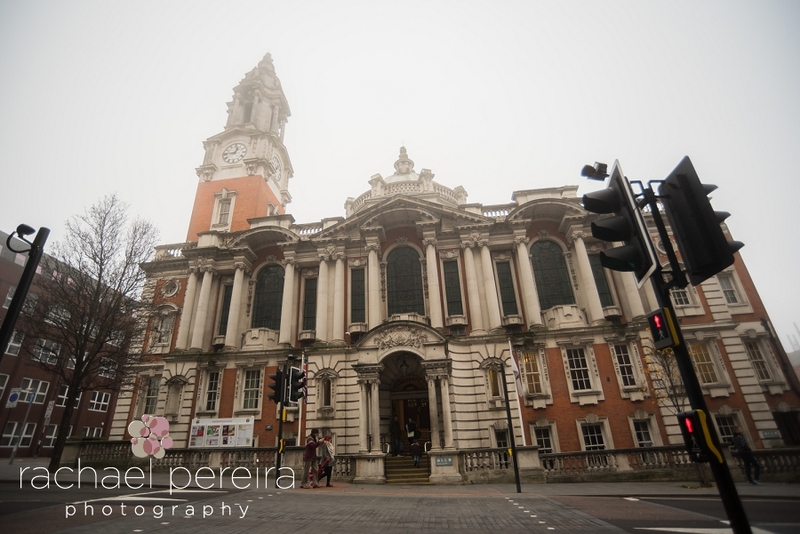 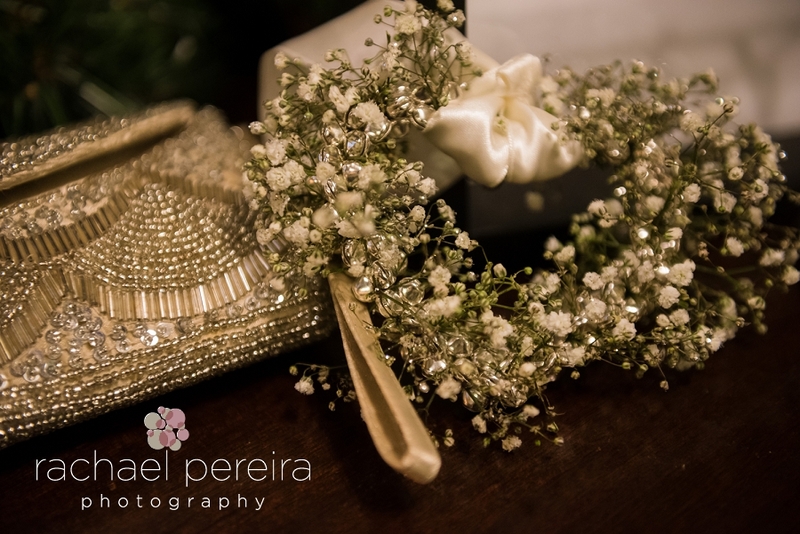 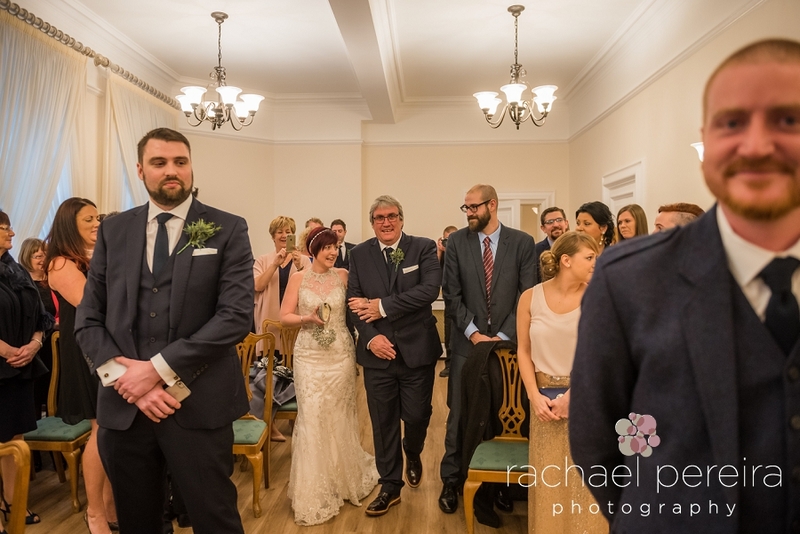 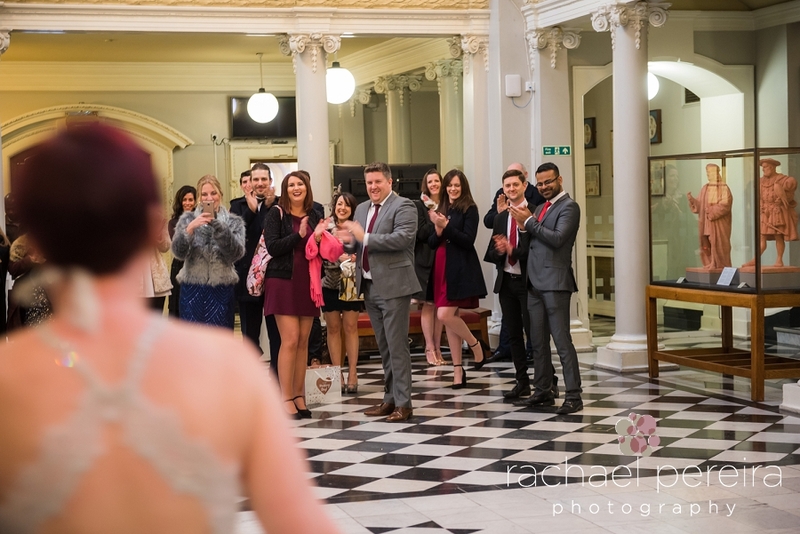 Nicola and Alex wanted a Christmas wedding and chose the stunning Woolwich Registry Office for their ceremony. 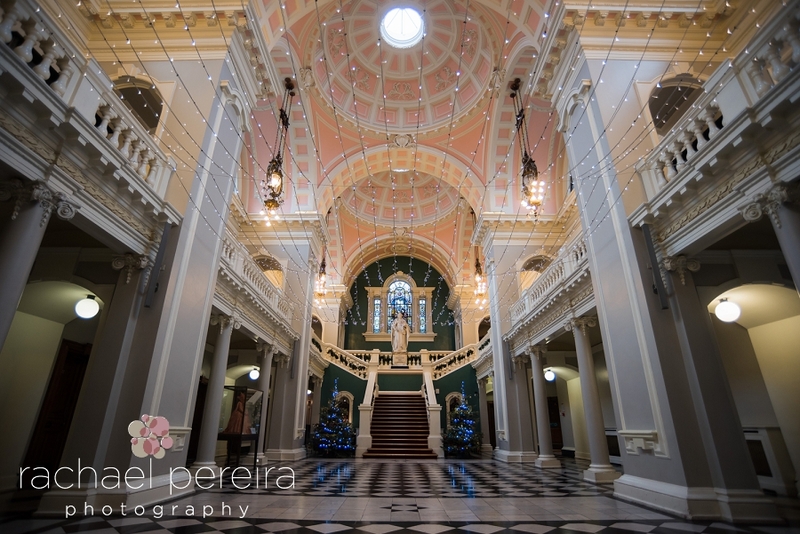 The interior of this building is beautiful and even more so with the Christmas decorations and tree. 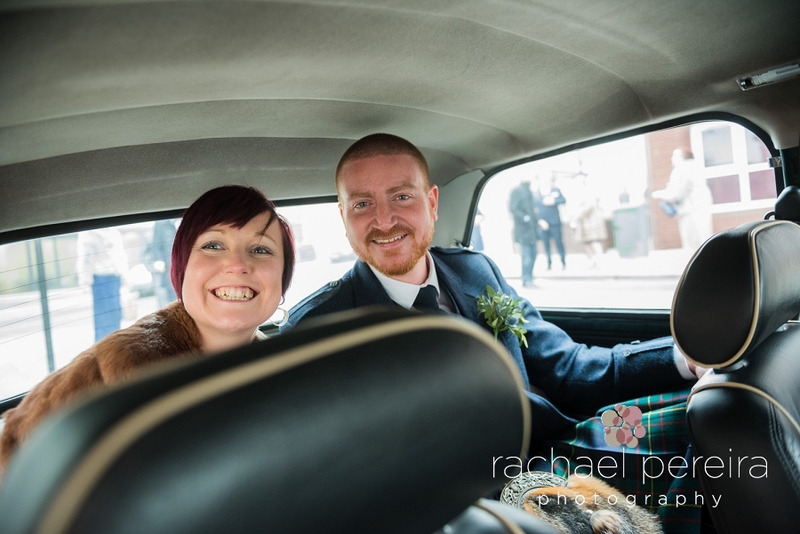 It was a cold and misty winter day, but everyone was full of smiles as they arrived for the ceremony. 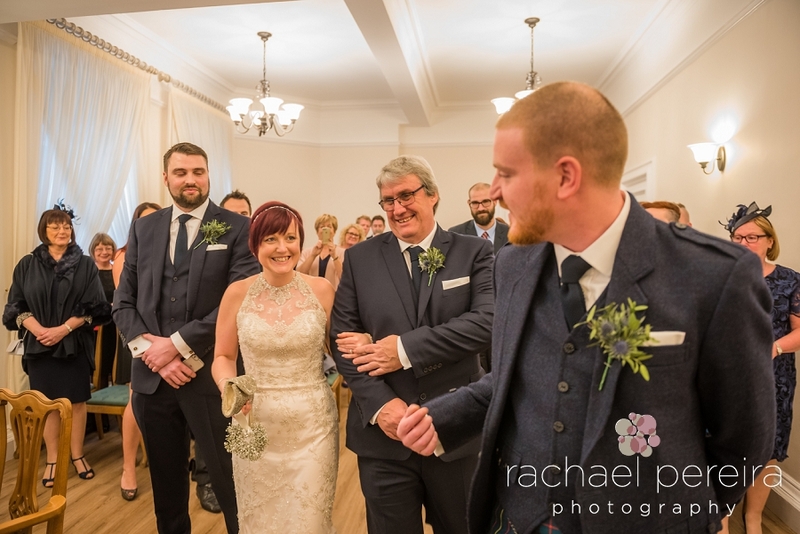 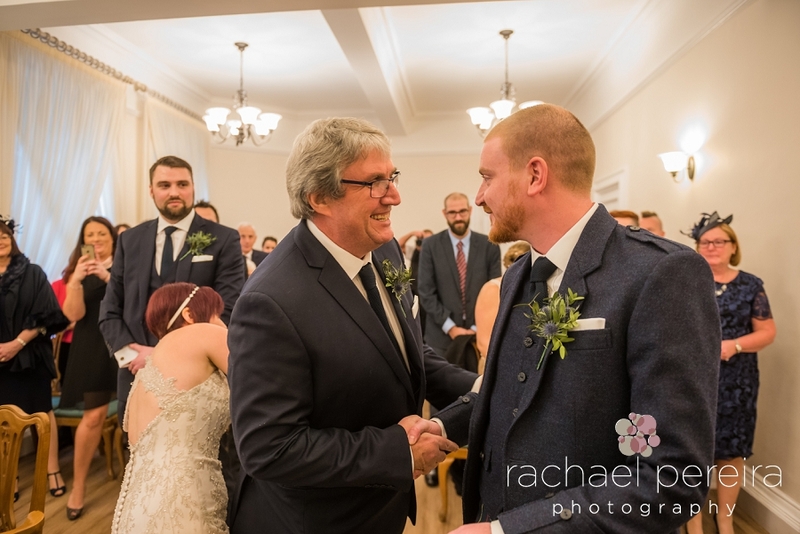 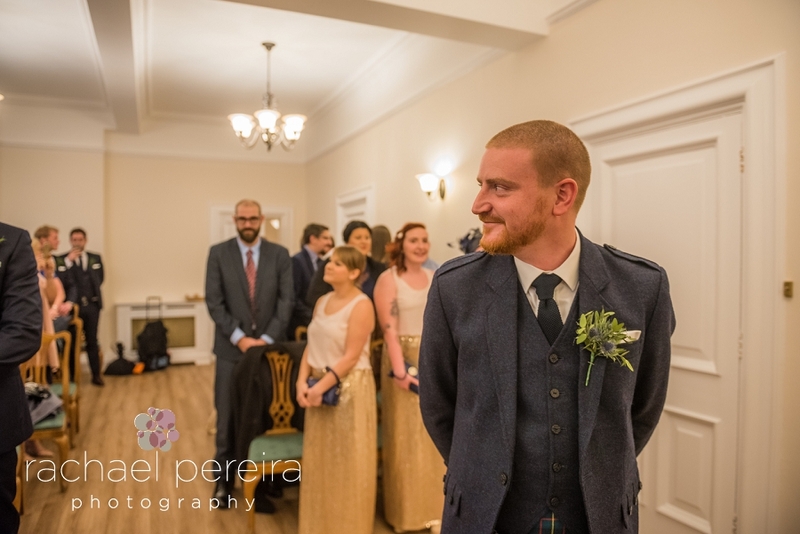 Alex wore a kilt made with his family tartan, together with a matching wool jacket and Nicola had a wrap to keep her warm. 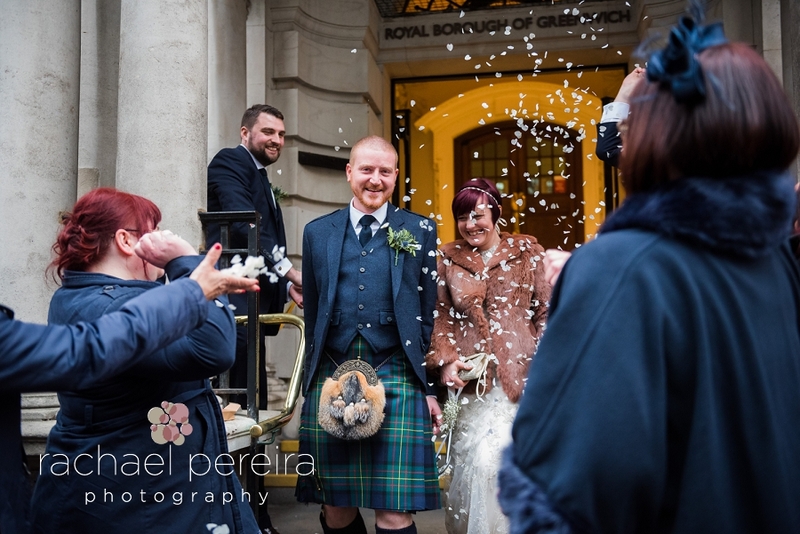 After the ceremony we took a few photos and threw lots of confetti over the couple on the steps before heading to the reception at Leadenhall Market. 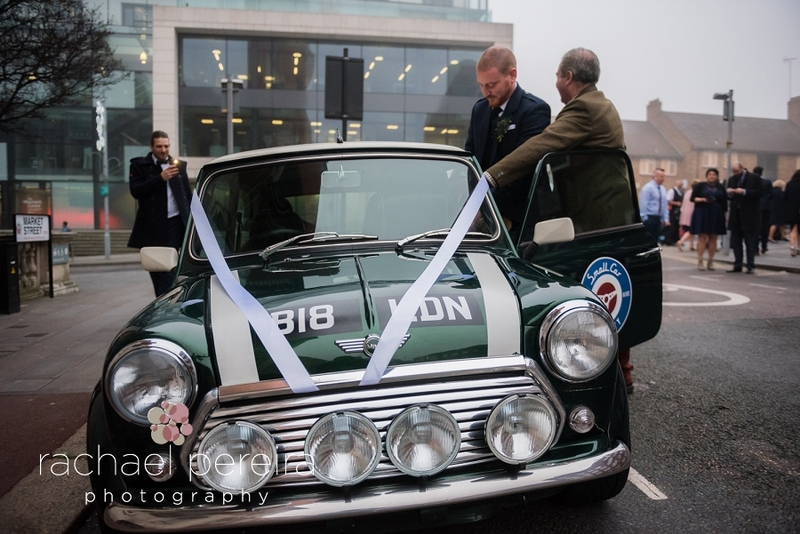 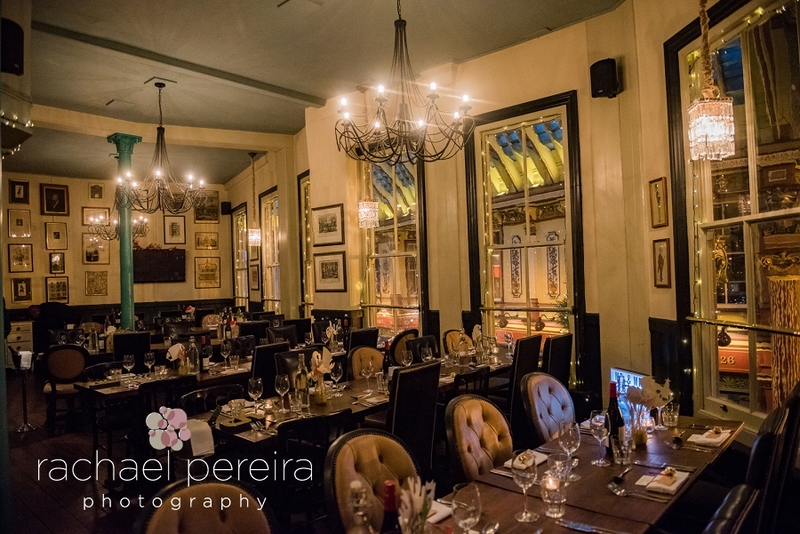 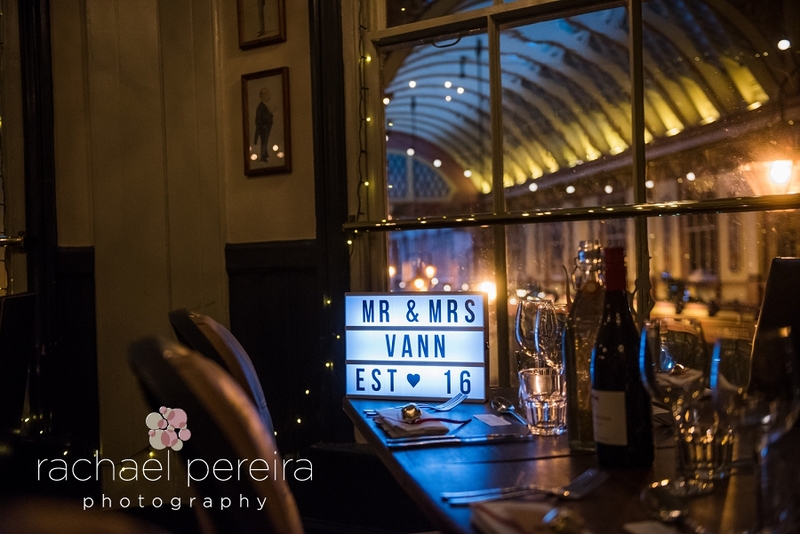 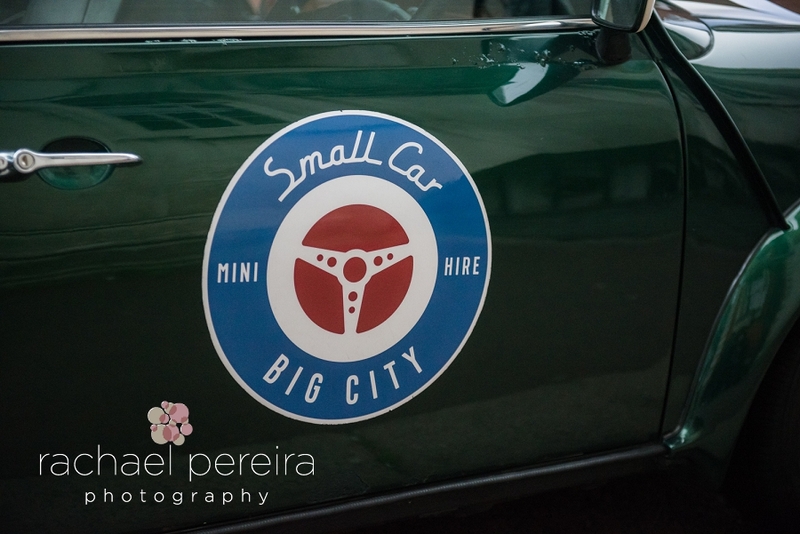 Nicola and Alex had hired a green racing mini to take them across London to their wedding reception at The Lamb Tavern in Leadenhall Market. 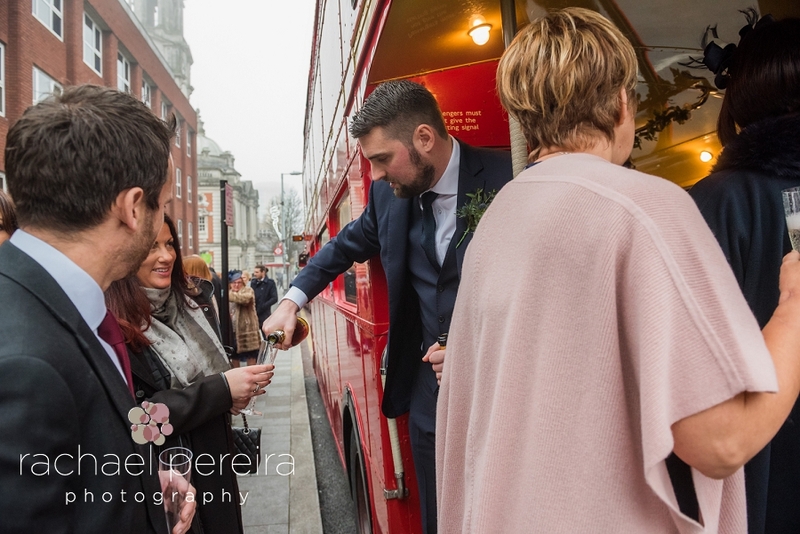 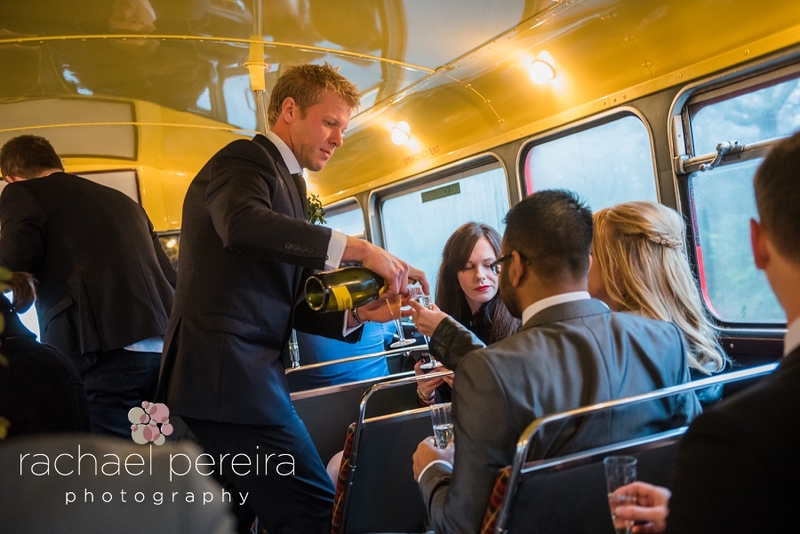 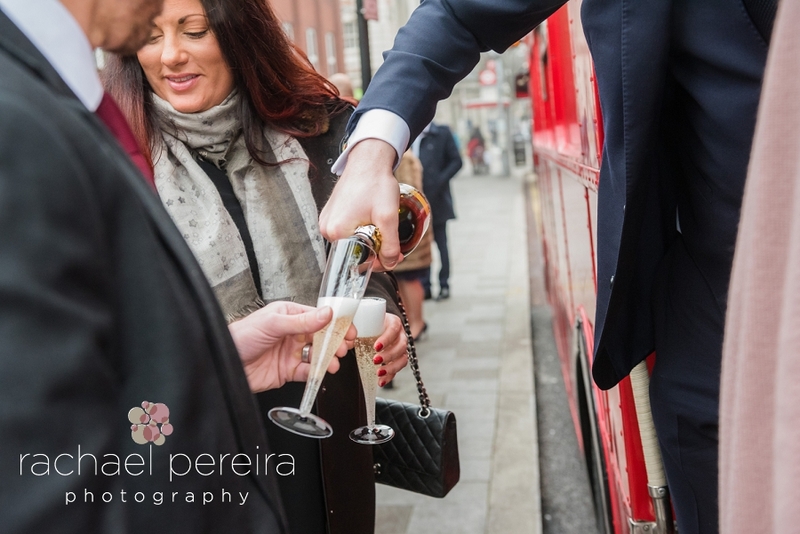 We jumped on the red double decker bus with all the wedding guests who were supplied with glasses of champagne as they stepped onto the bus. 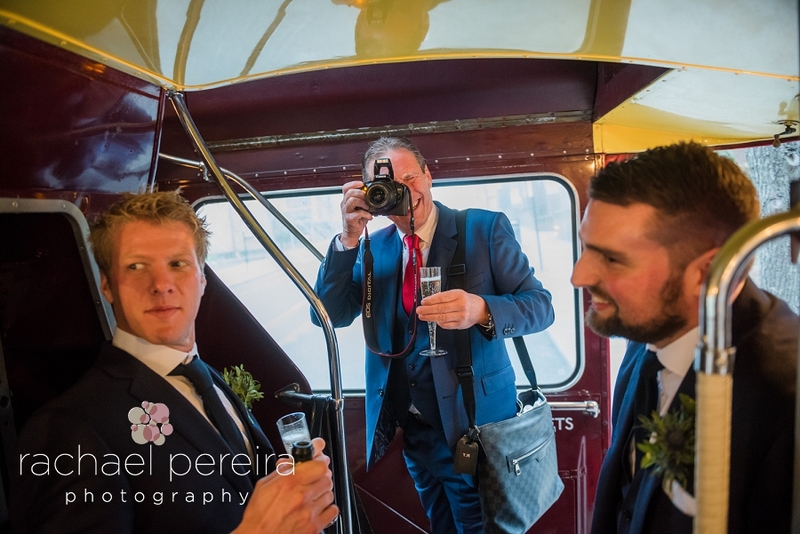 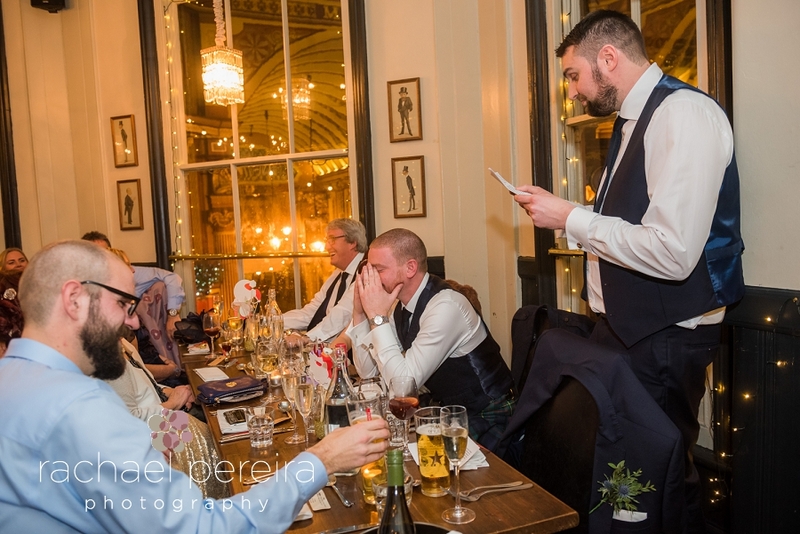 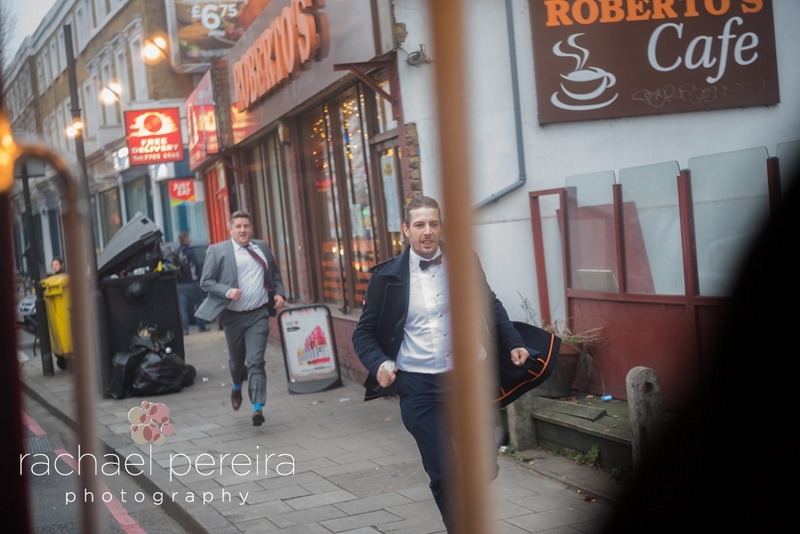 The groomsmen did a great job of keeping everyone's glasses topped up and this together with the slow traffic of London meant that a few guests had to jump off to try and find toilets and then run to get back on the bus. 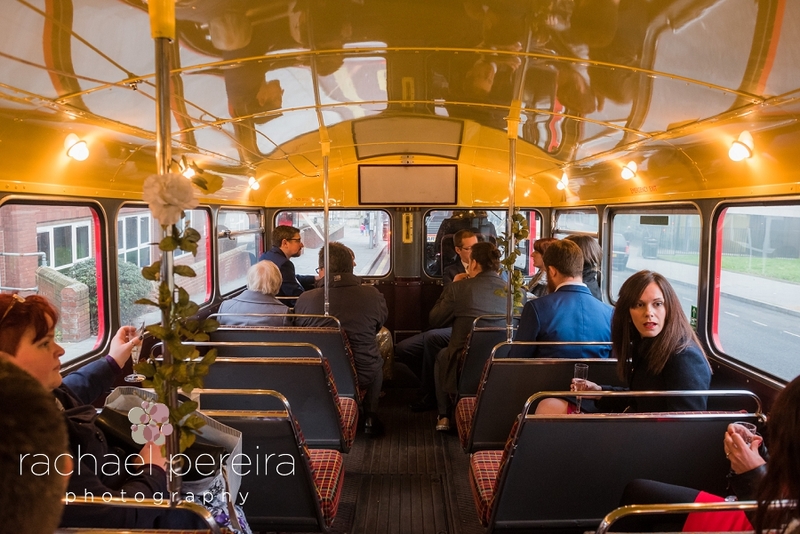 A couple didn't make it back onto the bus and turned up at the reception by taxi later! 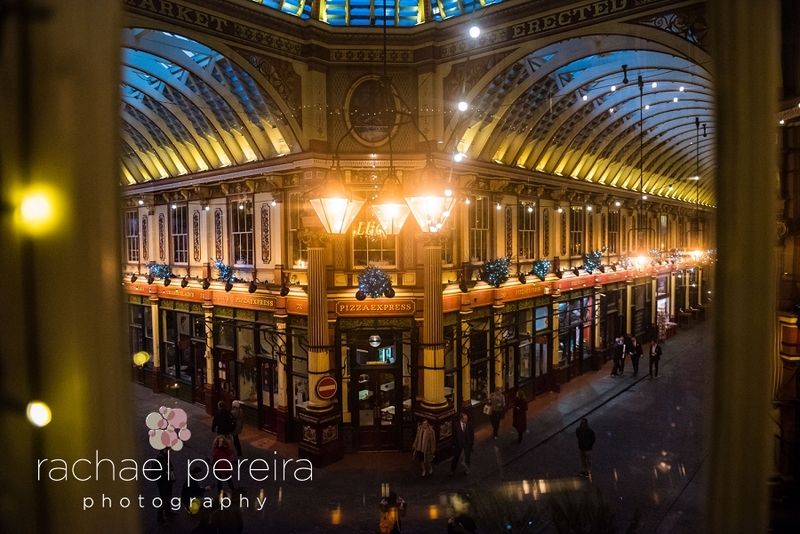 Leadenhall Market looked beautiful with all the Christmas lights and Christmas tree. 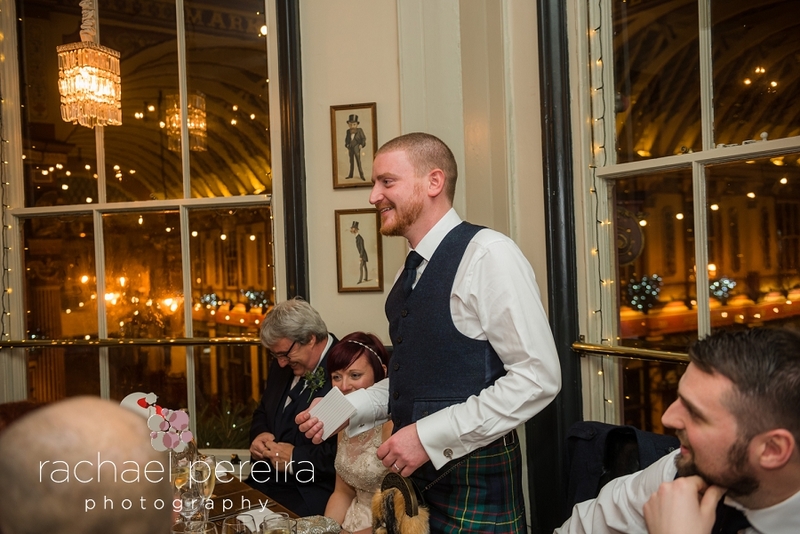 Everyone was greeted with hot toddies and shots to warm everyone up. 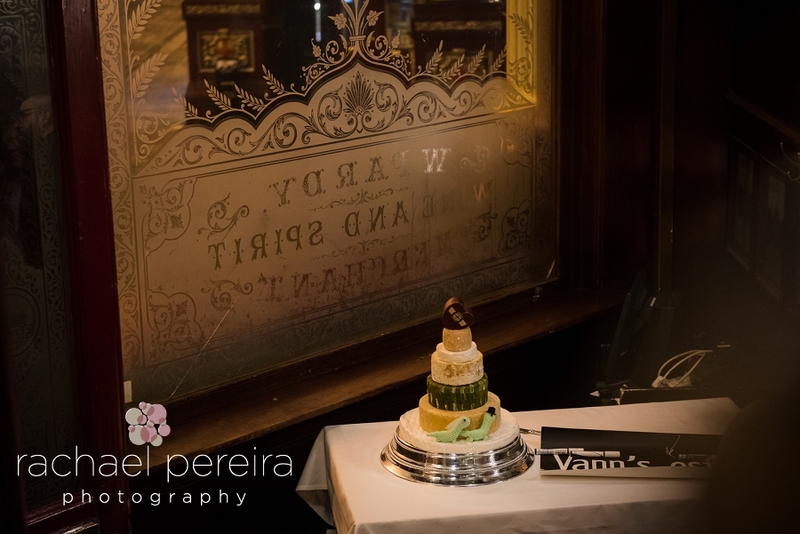 The meal was then served in the upstairs rooms in the Lamb Tavern which were warm and cozy and decorated with the Christmas theme. 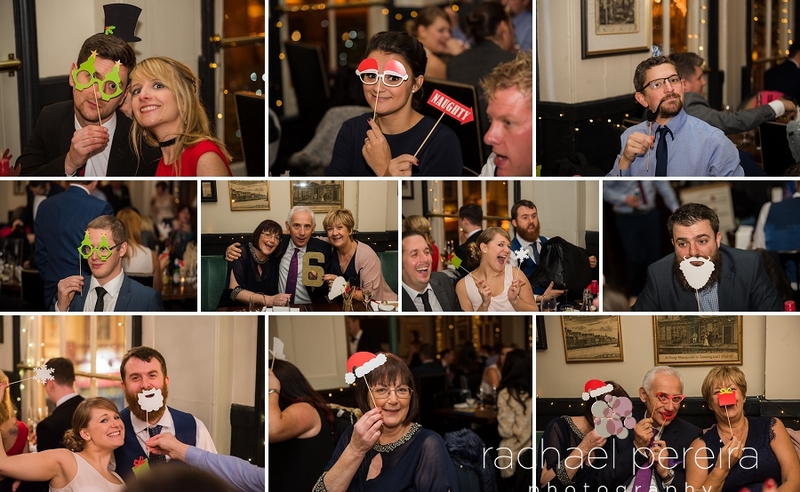 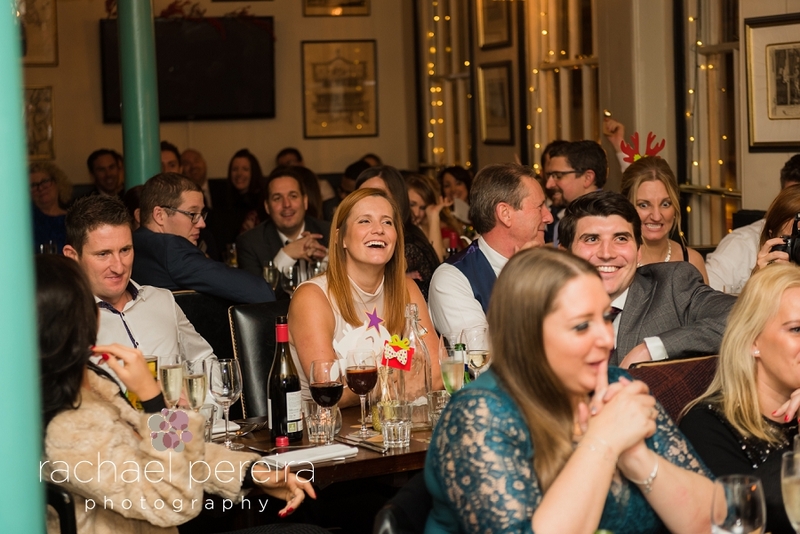 All the guests made full use of the Christmas photo props on the tables and enjoyed the jokes and funny stories made during the speeches. 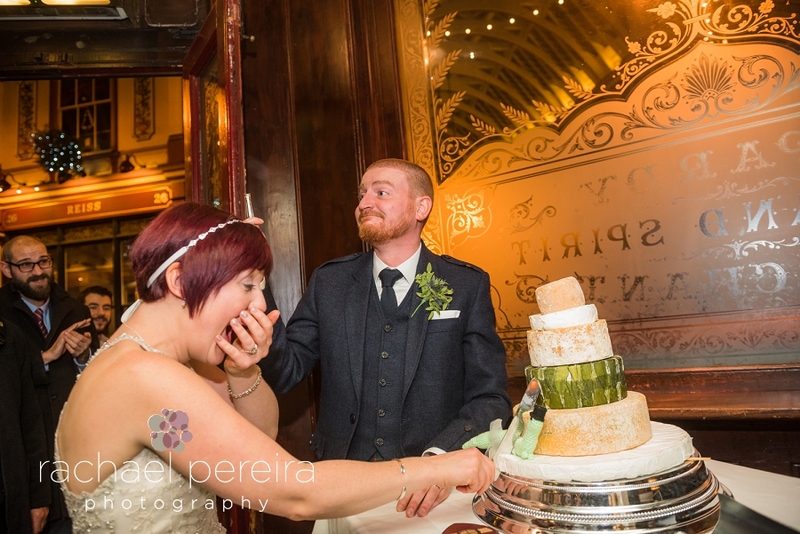 To end the evening Nicola and Alex cut their wedding cake which was made of cheese, and started to fall over as they cut into it. 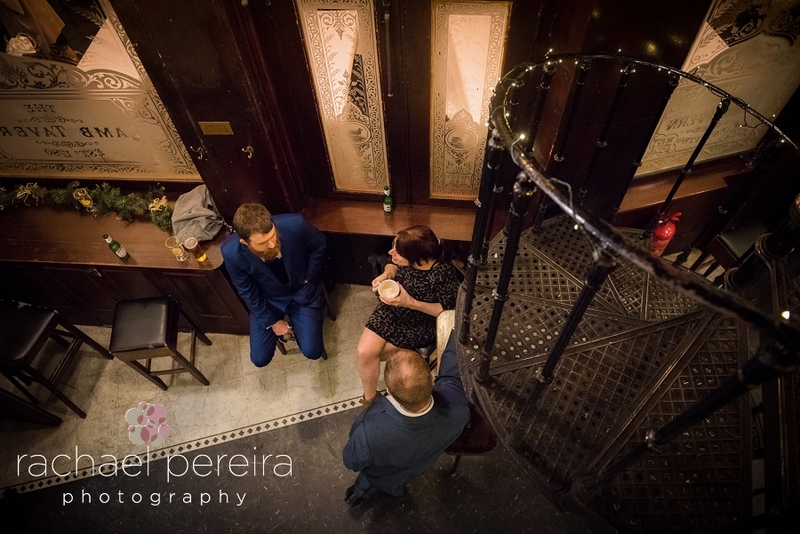 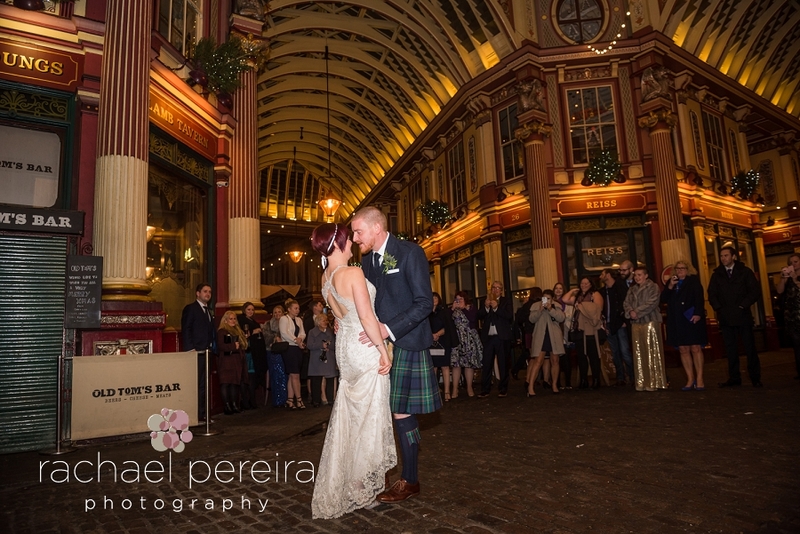 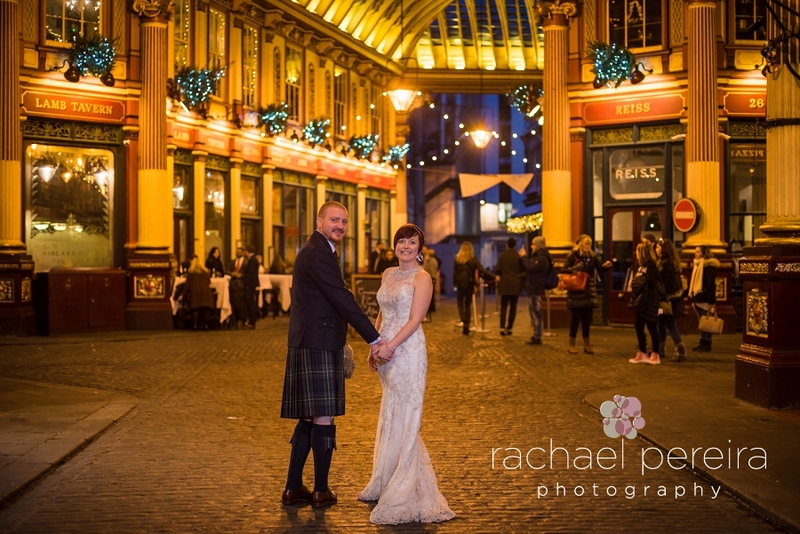 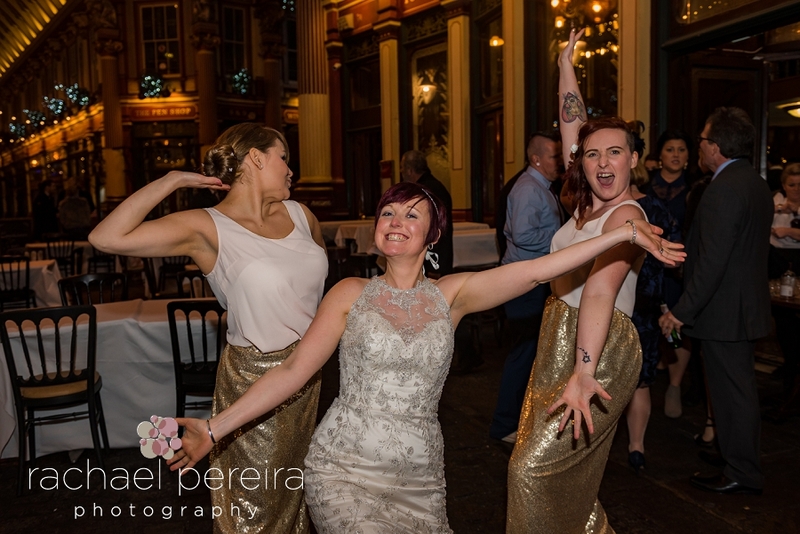 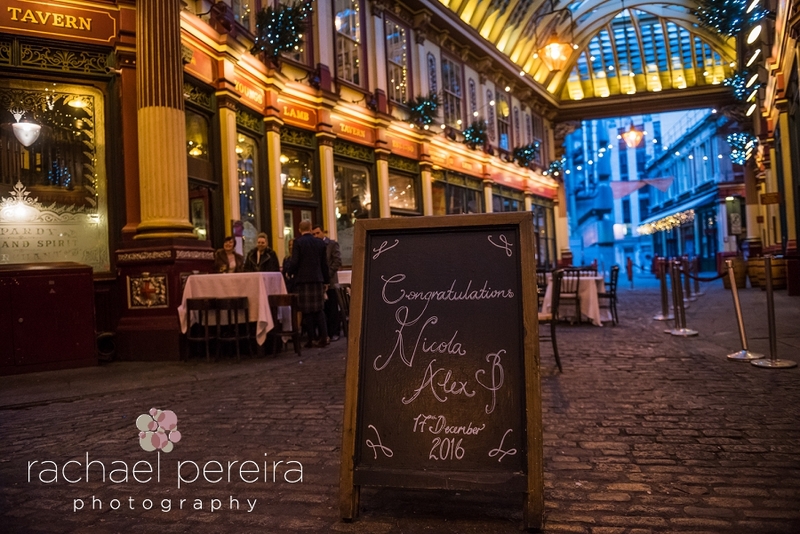 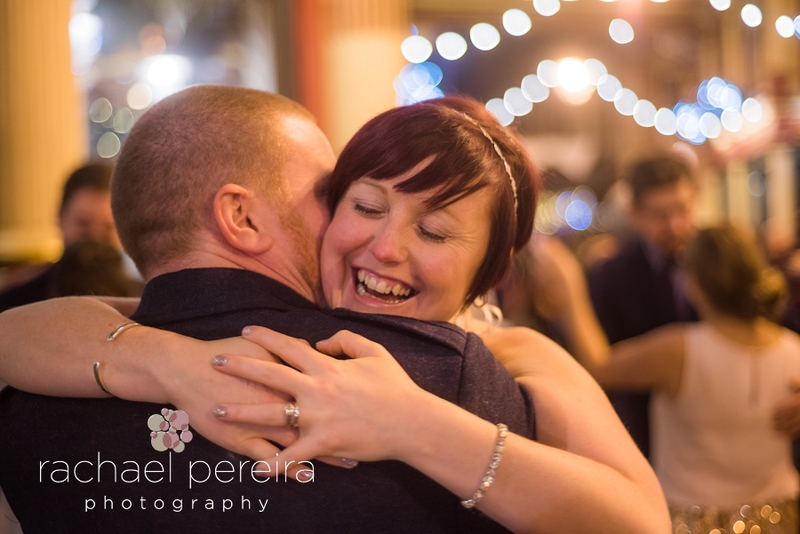 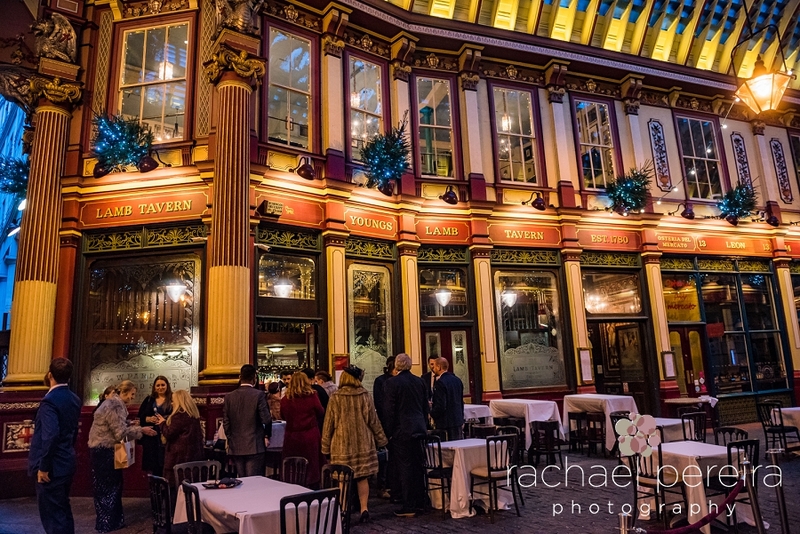 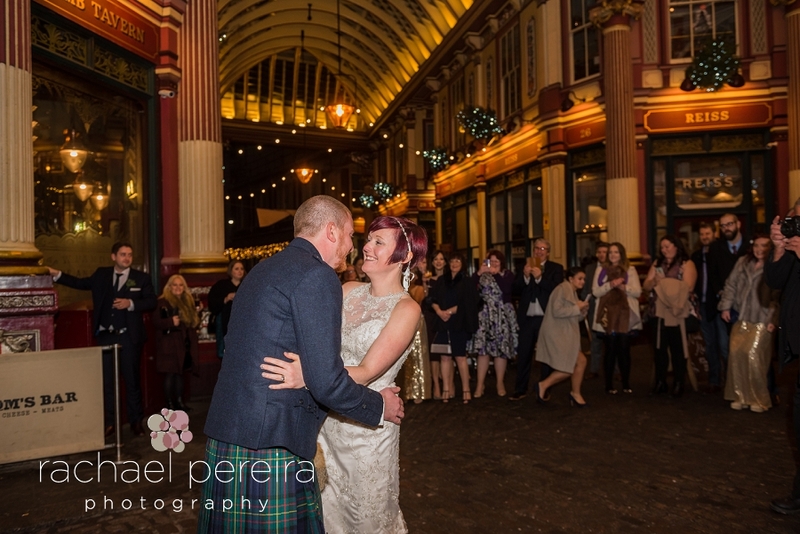 Then everyone headed out onto the street in Leadenhall Market for Nicola and Alex's first dance under the Christmas tree. 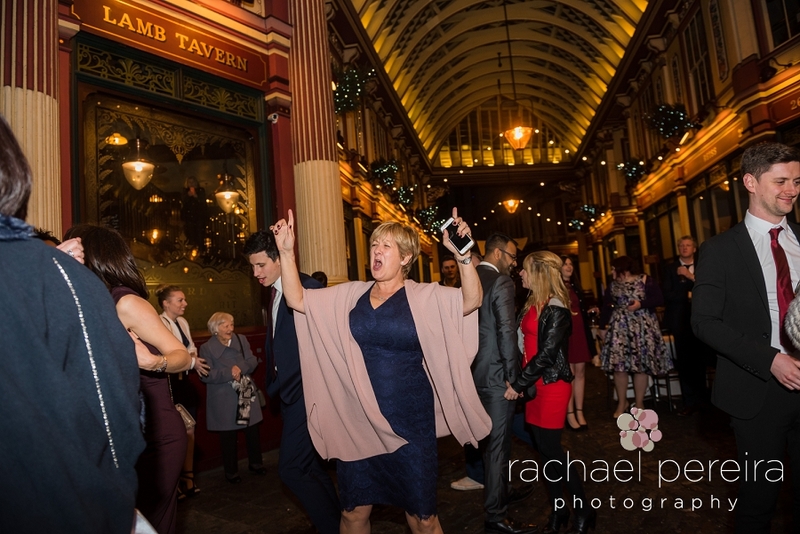 Everyone else then joined in with the dancing out on the street under the Christmas lights. 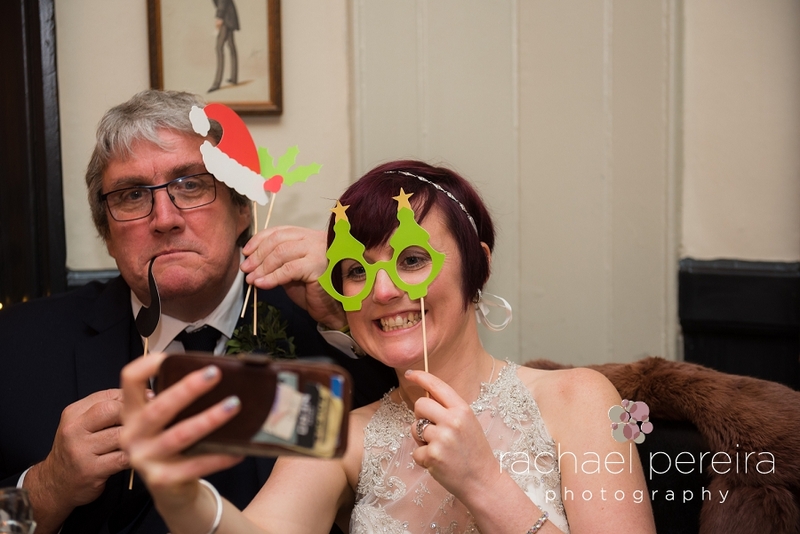 It really was a magical Christmas wedding. 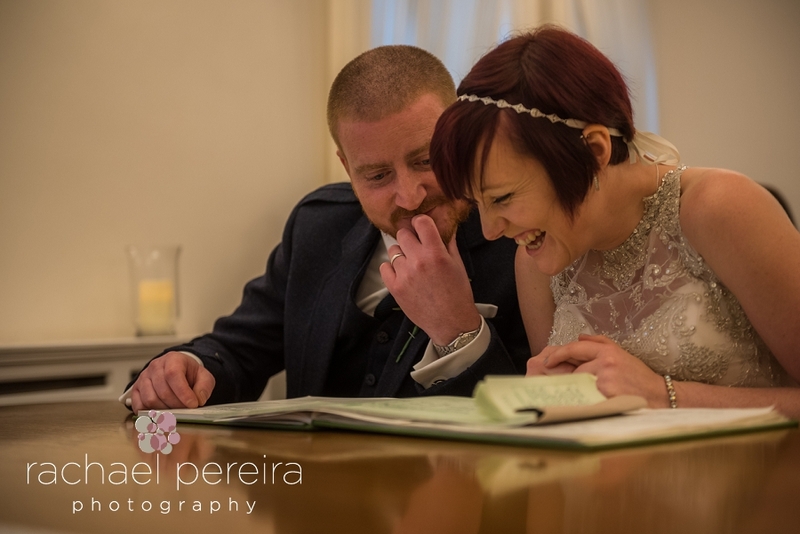 We had a such a fun day with Nicola, Alex and their family and friends. 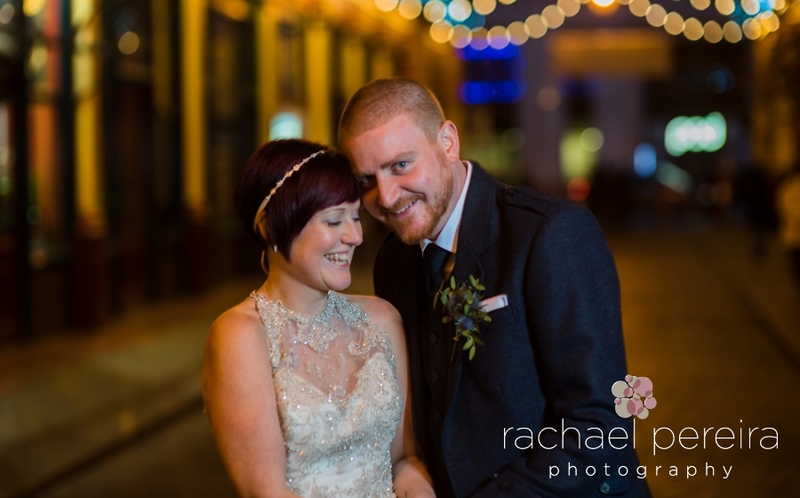 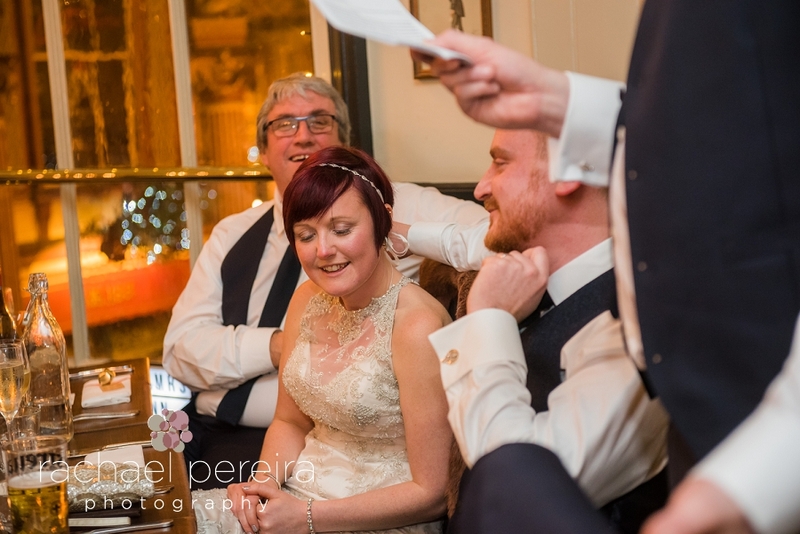 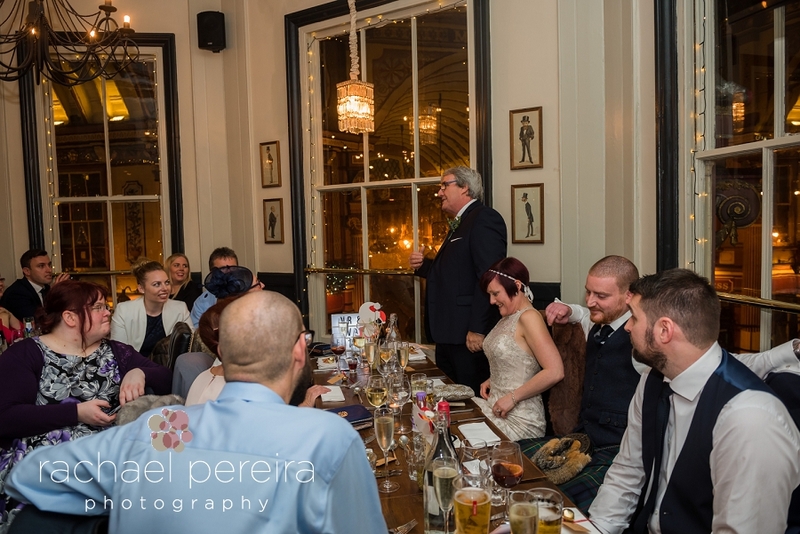 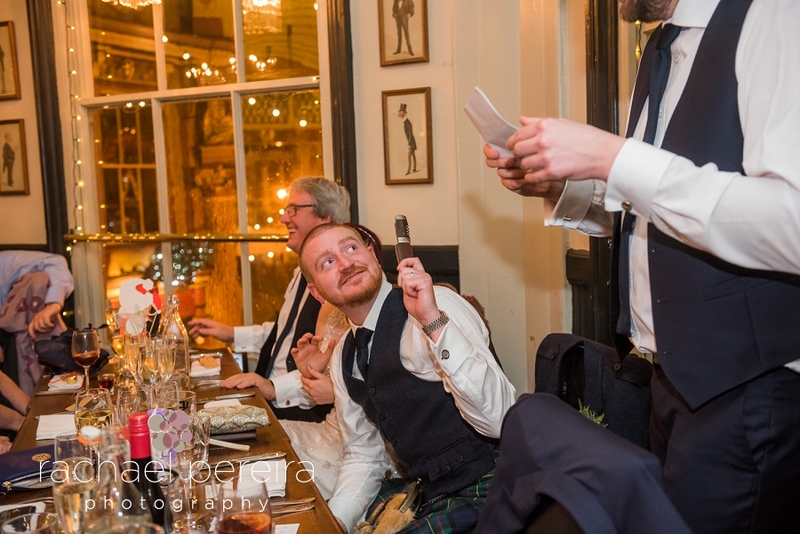 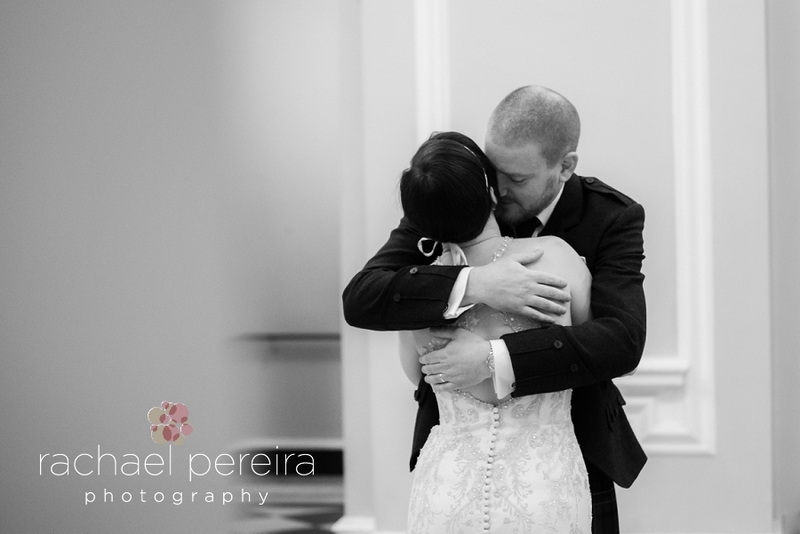 Here are a few of our favourites from their wedding gallery.